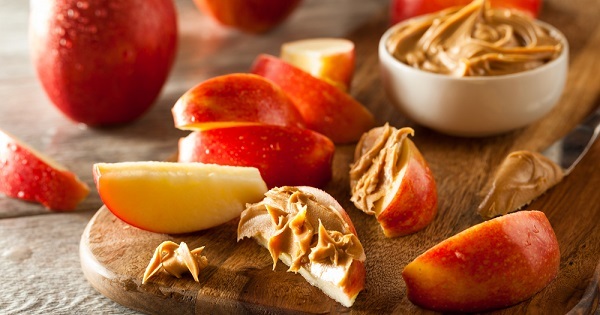 You may have heard recommendations to eat peanut butter with apples or that you need to eat rice with beans in order to get the full nutritional benefit. But is that really true? UW Health dietitian Margaret Eich, RD, explains that there is validity to the concept of “food pairing” although it may not be what people commonly believe. And, it’s important to note that there are foods that can work against each other as well. One common food pairing concept is the “complete protein” – that one particular food, like beans, isn’t nutritionally “complete” unless it is paired with a grain, like rice. Eich explains that animal proteins, like meat and dairy, are considered “complete,” which means they contain all of the essential amino acids. Those amino acids, you may recall from science class, are the building blocks of protein and the “essential amino acids” are the ones our body cannot make. The only way to get those essential amino acids is through the food we eat. The concept of complete proteins is mostly important for vegetarians and vegans who consumer few animal products, Eich comments. In the case of legumes, they are low in the essential amino acid methionine, while grains contain methionine. In the reverse, whole grains are low in the amino acid lysine, while legumes provide lysine. Eich notes that another good pairing of foods is carotenoid-rich vegetables (those with beta-carotene and lycopene, for example) with healthy fats like avocado or olive oil. The fat helps increase the absorption of the carotenoids. And, while you knew orange was a sure sign of beta-carotene such as carrots and sweet potatoes, leafy green vegetables like spinach, kale and broccoli are also good sources as well. Another combination – pairing Vitamin C-rich foods with iron from plant sources and supplements can actually increase iron absorption. However, you shouldn’t use tea or coffee to take your supplements since the polyphenols in the drinks can decrease iron absorption. The same is true for wine. “While there are some food combinations that enhance each other, there are other combinations that can actually work against each other,” explains Eich. She notes that green and black teas can interfere with the absorption of folate/folic acid, so it’s best to separate multivitamins and folate supplements from the tea. Similarly, spinach or rhubarb, both of which contain oxalate, can actually inhibit calcium absorption. For Eich, perhaps the most important food pairing is the combination of protein and carbohydrates. Protein is helpful for regulating our appetite, and when we eat carbs alone (like crackers or bread) we tend to eat more because we feel less satisfied. Is the Mediterranean Diet Truly the Best Choice?